About homeopathy page, Sharon Lunn Colon Hydrotherapy for prople living in Irritable Bowel Syndrome. Irritable bowel syndrome (IBS, or spastic colon) is a diagnosis of exclusion. It is a functional bowel disorder characterized by chronic abdominal pain, discomfort, bloating, and alteration of bowel habits in the absence of any detectable organic cause. In some cases, the symptoms are relieved by bowel movements. Diarrhea or constipation may predominate, or they may alternate (classified as IBS-D, IBS-C or IBS-A, respectively). IBS may begin after an infection (post-infectious, IBS-PI), a stressful life event, or onset of maturity without any other medical indicators. The primary symptoms of IBS are abdominal pain or discomfort in association with frequent diarrhea or constipation, a change in bowel habits. There may also be urgency for bowel movements, a feeling of incomplete evacuation (tenesmus), bloating or abdominal distention. People with IBS, more commonly than others, have gastroesophageal reflux, symptoms relating to the genitourinary system, chronic fatigue syndrome, fibromyalgia, headache, backache and psychiatric symptoms such as depression and anxiety. Some studies indicate that up to 60% of persons with IBS also have a psychological disorder, typically anxiety or depression. The cause of IBS is unknown, but several hypotheses have been proposed. The risk of developing IBS increases sixfold after acute gastrointestinal infection. Post-infection, further risk factors are young age, prolonged fever, anxiety, and depression. Publications suggesting the role of brain-gut "axis" appeared in the 1990s, such as a study entitled Brain-gut response to stress and cholinergic stimulation in IBS published in the Journal of Clinical Gastroenterology in 1993. A 1997 study published in Gut magazine suggested that IBS was associated with a "derailing of the brain-gut axis." Psychological factors may be important in the etiology of IBS. There is no specific laboratory or imaging test that can be performed to diagnose irritable bowel syndrome. Diagnosis of IBS involves excluding conditions that produce IBS-like symptoms, and then following a procedure to categorize the patient's symptoms. Ruling out parasitic infections, lactose intolerance, small intestinal bacterial overgrowth and celiac disease is recommended for all patients before a diagnosis of irritable bowel syndrome is made. In patients over 50 years old it is recommended that they undergo a screening colonoscopy. 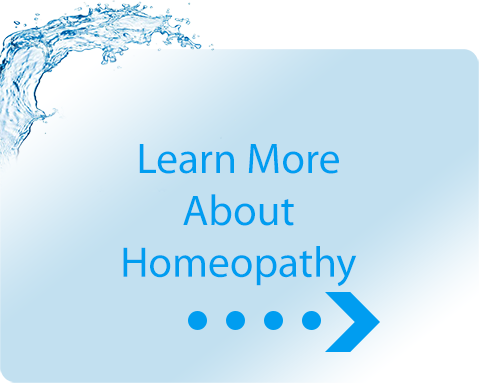 For people interested in About homeopathy in Irritable Bowel Syndrome.